​*The community are asked to avoid the area. If they are already in the area, leave immediately by heading south along North West Coastal Highway to Exmouth. A bushfire EMERGENCY WARNING has been issued for people near Nanutarra Roadhouse, along North West Coastal Highway in the Shire of Ashburton. • You are in danger and need to act immediately to survive. There is a threat to lives and homes. • The alert level for this fire has been upgraded as fire behaviour has intensified. • Homes near Nanutarra Roadhouse will be under threat by fire. • The fire is burning on both sides of the North West Coastal Highway, near Nanutarra Roadhouse. • The bushfire is moving fast in a southerly direction. • It is out of control and unpredictable. • Burning embers are likely to be blown around your home. • If the way is clear, leave now for a safer place. • Do not wait and see, leaving at the last minute is deadly. 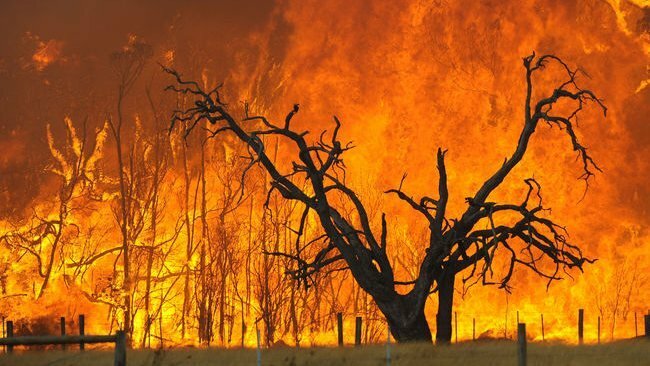 • There is ember attack ahead of the fire, so close all doors and windows, and turn off evaporative air conditioners, but keep water running through the system if possible. • It is not safe to stay and actively defend, your best chance for survival is to leave now. • If you cannot leave, you need to get ready to shelter in your home and actively defend it. • If you are not at home, it is too dangerous now to return. • Your safest option may be to visit family or friends who live away from the area. • The community is requested to relocate to Exmouth by heading in a southerly direction along North West Coastal Highway,turning off at Burkett Road. Avoid the area and be aware of fire and other emergency services personnel working on site. • North West Coastal Highway between Burkett Road and Fortescue Roadhouse (open to people leaving the fire zone). It is expected Pannawonica Road will be closed shortly. • DFES staff, volunteer Fire and Emergency Service and Department of Parks and Wildlife firefighters are on scene. • The incident was reported at 5.00pm on Tuesday 24 November 2015. • The cause of the fire is lightning. Visit www.dfes.wa.gov.au, call 13 DFES (13 3337), follow DFES on Twitter @dfes_wa, listen to ABC local radio or news bulletins. Updates will be provided every hour unless the situation changes.